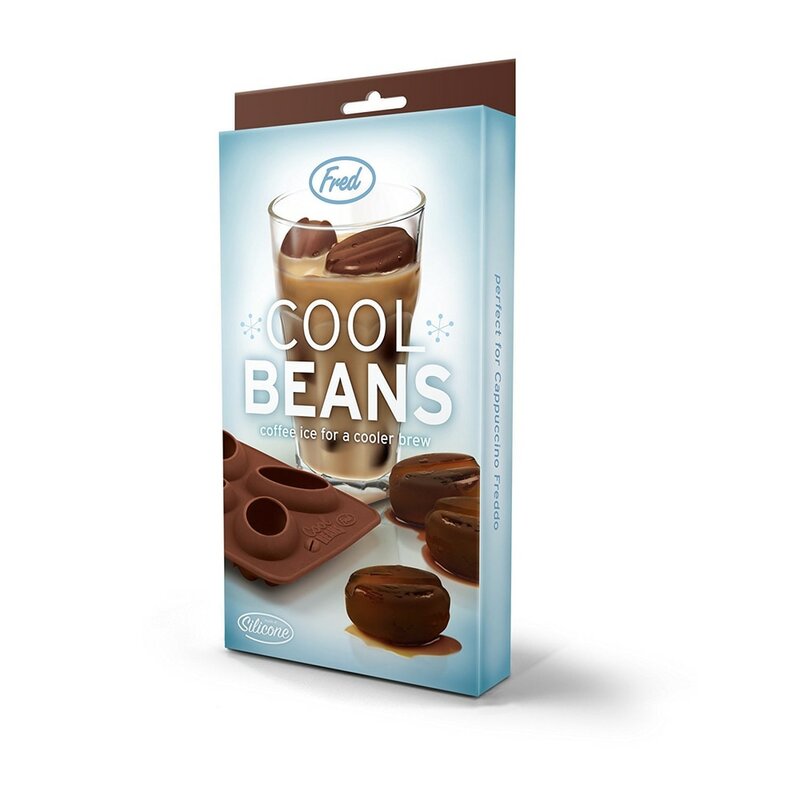 Fred & Friends Cool Beans is an ice cube tray that molds coffee bean shaped ice cubes. There are 8 molds per tray. The premise explained on the packaging is to fill the tray with coffee. Regular ice only dilutes iced coffee. When coffee ice cubes added to your drink, the result is stronger coffee.